Kevin Harvick started 29th after his first-place qualifying time was disallowed in post-qualifying inspection. He finished second in the stage to earn nine bonus points. The Mobil 1 driver raced up to the eighth position by lap 20. Harvick was the first car to come to pit road on lap 21 under green-flag conditions for four tires and fuel. He rejoined the field in 32ndand raced up to the second position by the end of the stage. The No. 4 Ford came to pit road for four tires, fuel and a small adjustment at the end of the stage. Two cars came to pit road before the end of the stage, and another took two tires, forcing Harvick to restart sixth. Started sixth and finished first, earning 10 bonus points and a playoff point. Harvick raced to the lead on lap 65. The Mobil 1 Ford surrendered the lead to come to pit road for four tires and fuel under green on lap 77. The No. 4 Ford raced back up to the sixth position before a caution on lap 82 and opted to stay out under the caution. Harvick restarted as the leader on lap 87 as the top-five came to pit road for service under the caution. He was able to maintain the lead for the remainder of the stage. The Mobil 1 team pitted at the completion of Stage 2 for four tires, fuel and tape, although several teams had opted to pit prior to Stage 2 ending. Started ninth and finished fourth. The Bakersfield, California, native briefly fell back to the 13th spot at the start of the final stage. Harvick re-entered the top-10 by lap 112, and by lap 120 the Mobil 1 driver was in fifth. During the lap-122 caution period, Harvick noted a tight-handling condition to start, and the Mobil 1 crew went to work to service Harvick’s Ford with tires, fuel and tape. Unfortunately, upon exiting pit road, Harvick and the No. 10 made contact, forcing crew chief Rodney Childers to call Harvick back to pit road for repairs. Luckily, immediately following the lap-122 caution there was another yellow flag displayed, which allowed Harvick to catch the field. 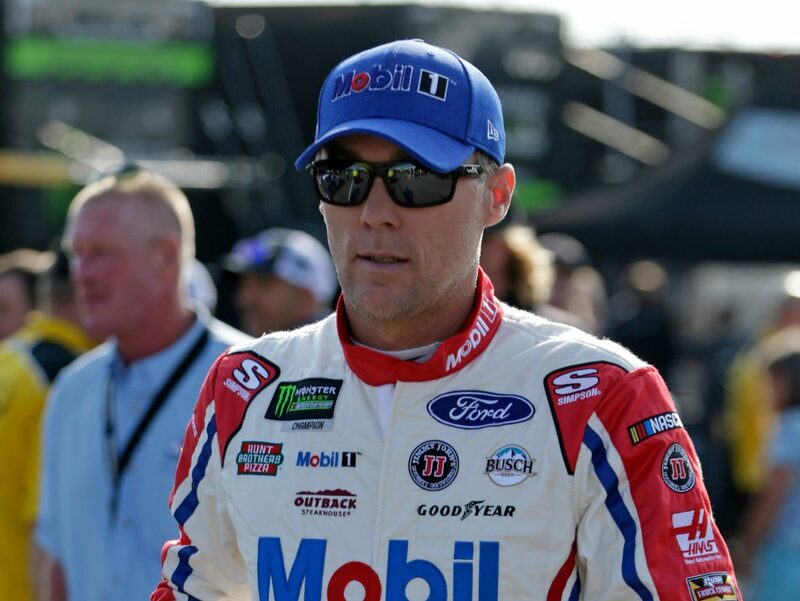 Harvick restarted on lap 132 in 27th, by lap 135 he was inside the top-20, and by the time the caution was displayed again on lap 154 the Mobil 1 driver was in eighth. The Mobil 1 team opted to stay out during the lap-154 red flag and ultimately finished the race fourth. This was Harvick’s 16thtop-five finish of 2018 and his 12thtop-five and 17thtop-10 in 36 career Monster Energy NASCAR Cup Series starts at Pocono. Harvick finished second in Stage 1 to earn nine bonus points and won Stage 2 to earn an additional 10 bonus points and one playoff point. Harvick led twice for 30 laps to increase his laps-led total at Pocono to 187. Harvick has 10 stage wins and 33 playoff points accumulated thus far in the 2018 season.